To truly change the look and feel of the complexion, skin care products must work on a cellular level, but the innate complexity of our cells makes this a difficult task. Every cell in our bodies exhibits chirality, which in simple terms means that they are oriented in a right-handed or left-handed fashion. For an ingredient to be optimal for the skin cells, it must be engineered to account for the cells' chirality, which is why the scientists at CosMedix spent years researching the best methods to produce formulas that are entirely chirally correct. 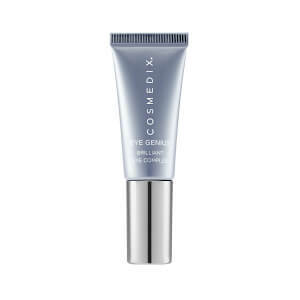 Every formula featured in the CosMedix line is adjusted to attract the skin cells, making them four times more effective than those found in ordinary products. In addition to being the market's foremost chirally correct skin care brand, CosMedix is a plant-based, earth-friendly line, free of artificial colors and preservatives. CosMedix believes you don't need harsh chemicals to enhance the beauty of your skin or improve the appearance of skin troubled by conditions like acne, rosacea or excessive sun damage. Their products are formulated with some of the most advanced skin care ingredients available including peptides and growth factors, many of which are plant-based. What they lack are ingredients that cause skin irritation or damage like petroleum products, mineral oil, glycolic acid or artificial dyes. 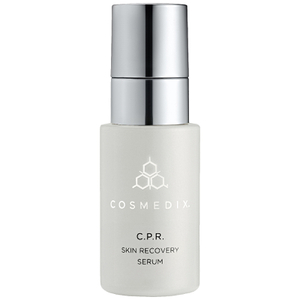 This makes the CosMedix safe and effective even for sensitive skin. Plus, each product uses high concentrations of active ingredients to protect and help repair skin at the cellular level where all aging begins. It's CosMedix's mission to bring you the most advanced plant-based skin care solutions available that are always gentle to your skin. 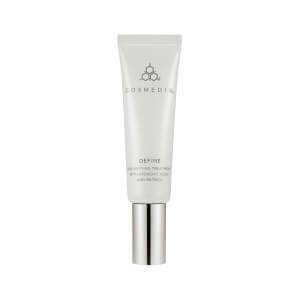 CosMedix Define contains trans-retinol and fruit acids, ingredients that increase skin cell turnover for a smoother, brighter complexion. At the same time, trans-retinol boosts collagen and elastin production to help restructure skin's deeper layers for better support and resistance to wrinkling. CosMedix Lightening Serum contains ingredients that lighten sunspots and areas of increased pigmentation to even out skin tone. Skin-lighteners like azelaic acid work in harmony with plant extracts and antioxidant vitamins like vitamin E to soothe skin and ease inflammation. 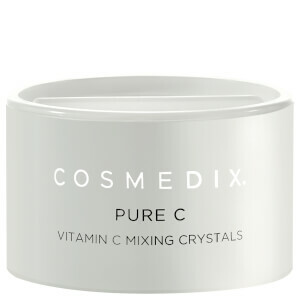 CosMedix Pure C is enriched with vitamin C, an antioxidant vitamin that's vital for healthy collagen, the protein that gives your skin structure and support. The form of vitamin C in this product, L-ascorbic acid, is a form that can more readily penetrate your skin to support healthy collagen. The beauty of your skin depends in part on genetics and in part on the skin care routine you establish. Subpar skin care products can damage your overall skin care routine, while high quality products can help you discover healthy, beautiful skin that you might not have thought was possible. CosMedix Products fall into the latter category, and they help to create a perfect skin care routine and, in turn, gorgeous skin. This extensive line of products includes everything you need for your skin. Every skin type is different, and CosMedix Products understand that. You can discover cleansers that rid your skin of impurities; serums that control breakouts, repair skin damage, and protect from environmental damage; and moisturizers that replenish your skin. CosMedix Products use all-natural ingredients, allowing you to safely but effectively calm, soothe, and treat your skin. These gentle ingredients result in minimal side effects and make these products ideal for daily use. You might not have been born with perfect skin, but that does not mean you are helpless. Find CosMedix Products that are right for you, and enjoy the results. Working with your skin on a cellular level makes CosMedix Products unique. Years of research stand behind these products, making them highly effective and based on proven, real results. Discover the benefits of this line of products, and choose a moisturizer, cleanser, or serum that works for your skin care needs. CosMedix Affirm repairs visible signs of aging caused by sun exposure and environmental damage. All-natural ingredients combine to repair and protect your skin. Ten antioxidants protect your skin from future damage, while micronized diatomic and polyethylene powders exfoliate your skin without irritating it. 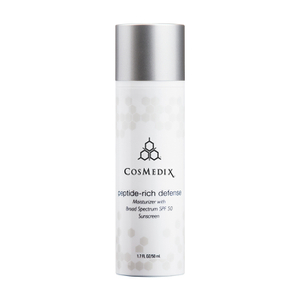 Biopeptides tighten and fir your skin. 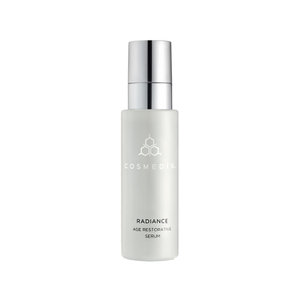 This serum, which you can use twice a day, features active oxygen botanicals and can help moisturize your skin, giving you the beautiful, healthy, and even younger-looking skin you desire. 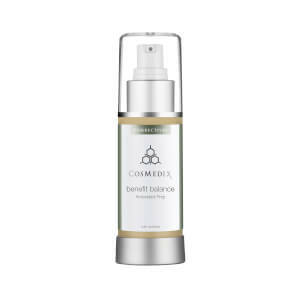 Revitalize your dry, dehydrated skin with CosMedix Benefit Balance. Relying on natural ingredients, this product protects your skin from environmental damage while nourishing and hydrating it. 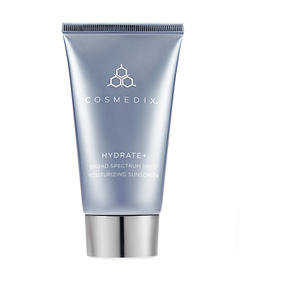 CoxMedix Benefit Balance features a potent antioxidant blend that includes heavy water, or deuterium oxide, which protects and moisturizes your skin. Vitamin C strengthens your skin, paving the way for a healthier look. This irritation-free product can be used every morning and evening. CosMedix Benefit Clean rinses away dirt, oil, impurities, and makeup every day. Featuring a formula made of sulfate-free sodium lauryl, this product calms and protects the skin thanks to shea butter. You can rinse away even stubborn waterproof makeup and environmental pollutants that can damage your skin. Create clear, healthy skin every day with this effective product.